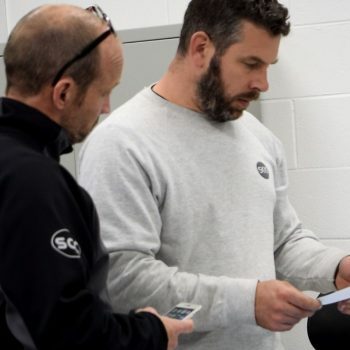 South Coast Composites is uniquely positioned to go from concept to conception, high quality manufacture and low volume production parts for private jets and business aircraft interiors. Our production process is so precise that we can guarantee a perfect external carbon fibre finish for every component without distortion. We have provided parts for and worked on exclusive jet interiors for aircraft such as the Barbardier Global Express, Embraer Lineage 1000 and the Embraer Phenom 100. If you’d like to discuss you current or future projects and how we might be able to help click here to get in contact. 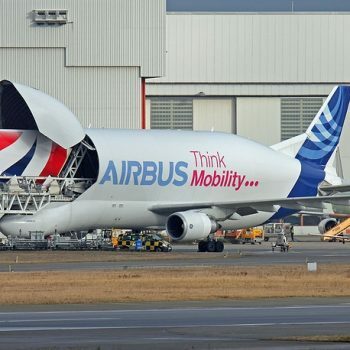 South Coast Composites is an AS9100 aerospace accredited manufacture of carbon fibre components for aircraft, Formula One vehicles and unique luxury brands. We are a key supply chain provider for private and business jet manufacturers, producing lightweight and aesthetically perfect carbon fibre composite components for aircraft interiors. We only use the most extreme type of carbon fibre composite called pre-preg. This is a material which is suspended in its binder, which keeps the visible carbon fibre weave incredibly uniform and accurate. 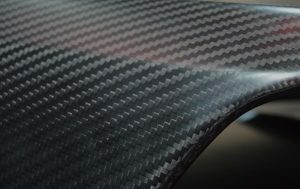 Our highly experienced composite technicians then carefully and precisely layer the carbon fibre material into its mould without stretching or distorting the weave, to create a perfect and pristine surface. Pre-preg has a perfectly and evenly distributed resin and fibre content, which means each component comes out exactly as intended, both from a material thickness and the surface finish point of view. Once all the piece that needed to make the component have been put together, we place them into an air tight bag and extract all of the air out of it, which enable us to cure and solidify the components at extremely high pressure and temperature inside our high-pressure curing vessel. Low Volume and One-off production. With modern day technology its possible to make extremely accurate moulds with great speed and a perfect surface finishing. We have a host of production partners that we work with to CNC machine industry standard solid epoxy foam block to create a pattern and from which we can then make a carbon fibre composite mould. By using carbon fibre composite for both the mould and the component, we can get incredibly accurate and smooth components. Carbon fibre is a fibrous material and holds the mould together as it being heated and reduces the effects of thermal expansion. Which means that the component being made comes out very accurately and smooth. With our process, you don’t need to invest in heavy and expensive tooling and machinery, you get A-class finish components straight out of the mould, made to the highest aerospace standards and to your exact requirements. Low lead-time with our rapid machining and mould making service and the most visually impressive and perfect carbon fibre weave pattern in the industry. And we have successfully provided interior parts for world renowned private and business jets such as the Barbardier Global Express, Embraer Lineage 1000 and the Embraer Phenom 100. If you’d like to find out more about our about how we might be able to help with your current or existing projects, click here to get in touch and we’d be more than happy to help.